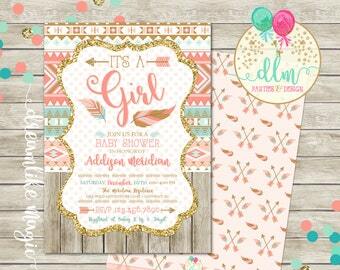 This listing is for the customized, DIGITAL/PRINTABLE invitation. YOU will print! 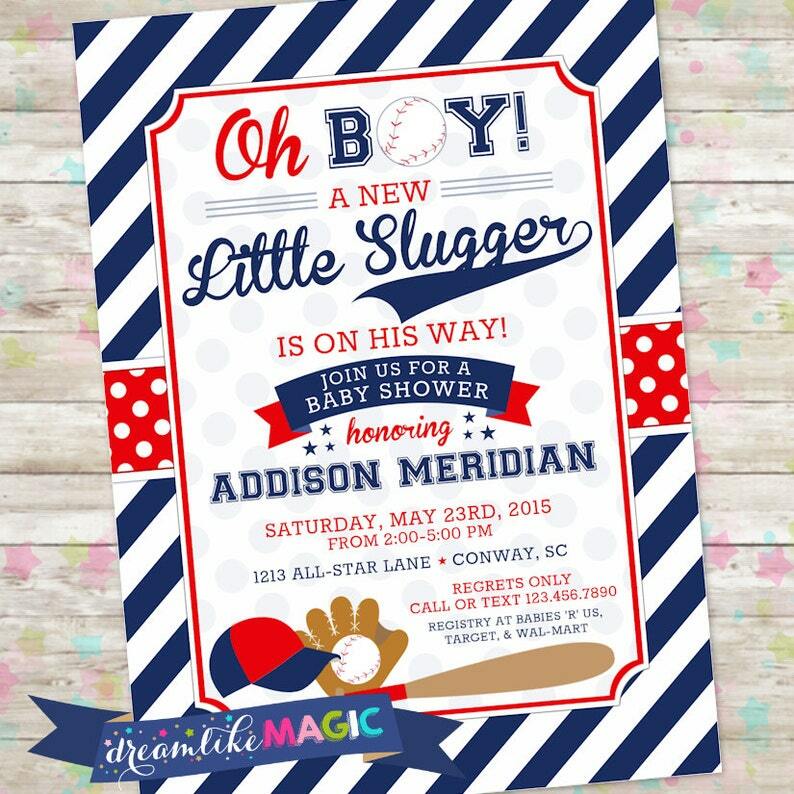 We personalize the invitation for you and email you the digital file.The file can then be printed from home, printed at a local or online photo processing center or emailed to your guests. There is no Shipping cost and print as many as you need! -4x6 or 5x7 JPG format file (perfect for photo lab printing or sending via email/online to your guests). -PDF format file. The PDF (8.5x11") in size will have 2 invites per page (perfect for at home card stock printing or Kinkos, Staples card stock printing). * No printed materials will be shipped, only the digital files sent to your email. * Coordinating backside design is only provided with our print service. Printing for address labels & envelope liners are also available, contact us for pricing! 1- Purchase this invitation listing. * Need other text changes? Include, but please keep it similar in length to the sample. 3- Once payment is confirmed, you will receive a "proof" of your invitation by email within 24-48 business hours of receipt of your order, for your approval. (If you pay with an eCheck, there will be a delay in processing of your order until your check clears (this can take up to 3-5 days). 4- Upon approval of your proof we will e-mail you the high-resolution print-ready digital files, we ask that you please respond once emailed final files are received. Please convo us if you are interested in a matching design printable item not listed for pricing, turnaround time, etc. PLEASE NOTE: This file is for personal use only. You may not forward, share, sell, or distribute this file. It is provided upon purchase for non-commercial use only. If you are a party planner, that has been hired by a parent to design a party, you are more than welcome to make a purchase, as long as the design is not reused for multiple clients. Colors may vary between what you see online and your actual printed product. The calibrations of your monitor and what type of computer you use can affect how the colors appear online, please consider this with any digital purchase. Feel free to convo me if you have any questions regarding this design or any other item in my shop! Thanks for shopping with Dreamlike Magic Designs! 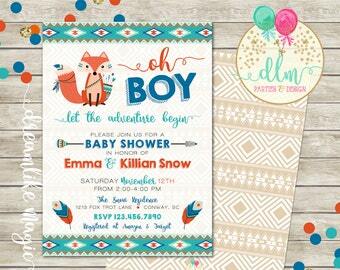 These invites were the perfect touch for my future nephew's baby shower! The whole process of ordering and getting proofs was easy and quick. Thank you DreamlikeMagic!! Item was as it was described! Great image sent!